A PASTEL PERFECT EASTER LOOK! It's that time of year again where families gather to spend their Easter Sunday face down in a generally lamb themed Sunday roast, followed by sickening amounts of chocolate eggs... So why not do it whilst rocking a killer spring look! 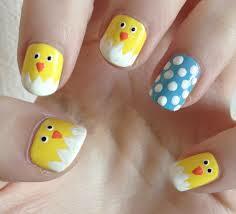 Easter is the holiday where us ladies can get away with pastel colours and playful looks all in the name of Spring! So lets delve into the deepest, darkest depths of our makeup bags and pull out our old bargain bin buys that we were once brave enough to consider wearing and let's slap it on! So here's my guide to an eggcellent Easter look (see what I did there) that will have you hopping in delight! (too far, I know). Step One...Eyes: Colour, colour, colour! Forget the nudes, it's all about pastel colours. We're aiming to create a fun yet elegant look that brings out the inner child within you without it looking like you've gone wild with the Crayola's. So first things first, pick a couple of pastel colour that compliment each other. Step Two: There are a few ways to play around with this look, you can create a soft look like image Three which can be achieved with a lighter eye shadow applied on the lid of the eye and slightly darker tone blended into the crease with the bottom liner blended in using the same colour as that you used in the crease of the eye. If you're feeling a bit braver then go for a look similar to image Two which you can create by simply applying one block colour all over eyelid which is taken right up to the brow bone and under the eye and even around the tear duct! That's some pastel dedication for you! A tip for this look is to add the product but by bit and blend outwards, otherwise you might look like one of our drag queen fails that we saw in the last blog. Step Three: If you're feeling a vintage vibe then finish off your powdered, pastel eyes with a sleek winged liner that adds a certain sophisticated edge to your fun look. Step Four: Apply a nice, bright highlighter just by the tear duct (unless you're creating image Two), this will really make your pastel eyes pop and brighten your whole look. Cheeks... Step One: As we're going for a fresh colour pop, I think it's only appropriate we go for a soft pink or peach cream blush to compliment our pastel eyes. A cream blush will brighten your complexion and give your skin that glowing/dewy look (you know the one that that causes people to ask 'Ooh don't you look well?'.. 'Yes, YES I do!'). You can grab a good cream blush from your high street shops, MUA even do a nice selection for £1, you can't argue with that now can you?! Step Two: To apply the blush take your middle finger and rub a decent amount of the cream blush onto your finger. Then dab the blush onto the apple of your cheek still using your middle finer and working up to the check bone, gently patting and blending the blush in. This is a very quick look to create, just make sure that there are no lines or odd splodges, we want smooth skin ladies! 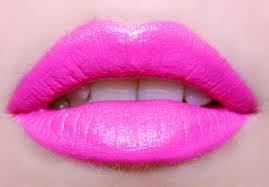 Lips...Step One: Now I love a good classic pink lip at Easter, however the shade is completely up to you! You can go for a dusky light pink, a soft rosy pink or if you're feeling in a bold mood go for a hot pink. You could even go a step further and go for a mad pastel colour like in image Four! That would certainly add a 'pop' of colour to your look. Step Two: Which ever colour you wish to go for, I would always recommend layering your lipstick. This consists of applying the lipstick perfectly all over the lip, then simply getting a tissue and separating it into two sheets (you only need one ply of tissue to create this effect), take one of the sheets and place over your lips. Then get a loose powder (preferable translucent) then powder over the tissue, once this is done take away the tissue from your lips then apply another coating of lipstick. Repeat this step 2-3 times and you will have your perfect pout lasting all day, even through all the gravy and chocolate dribbles! The finishing touches to your look will be your hair and nails, everyone loves a good play around on their nails come Easter time. Like I said before, it's the perfect occasion to be playful and cute at the same time. These images are my favourite hair and nail looks to complete your spring style. I love the soft, fun plaits that shape the face gently, these looks would go well with the softer eye makeup choice. However I'm all over the structured plait styles, these would look mega with the winged liner look! When creating your nail style remember it can be difficult to create really detailed looks if you're not used to it or don't have the little brushes and gadgets to create them with so pick a style that's simple to create but still looks effective. I love image One! 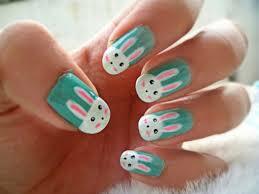 I'm totally going to try and re-create this, I just hope my little bunny looks just as good!